Tuesday Night A 20 percent chance of showers and thunderstorms. Partly cloudy, with a low around 67. Calm wind. Wednesday A 20 percent chance of showers and thunderstorms. Mostly sunny, with a high near 90. Light and variable wind becoming south 5 to 10 mph in the morning. Wednesday Night A 20 percent chance of showers and thunderstorms. Mostly cloudy, with a low around 69. South wind around 5 mph becoming calm. Thursday A 50 percent chance of showers and thunderstorms. Mostly cloudy, with a high near 87. Calm wind becoming south around 5 mph in the morning. Thursday Night A 40 percent chance of showers and thunderstorms. Mostly cloudy, with a low around 71. South wind around 5 mph. Friday A 50 percent chance of showers and thunderstorms. Mostly cloudy, with a high near 87. Southwest wind 5 to 10 mph. Friday Night Partly cloudy, with a low around 62. Northwest wind around 5 mph. Saturday Sunny, with a high near 81. Saturday Night Mostly clear, with a low around 51. Sunday Sunny, with a high near 82. Sunday Night Mostly clear, with a low around 55. Monday A 20 percent chance of showers. Mostly sunny, with a high near 83. 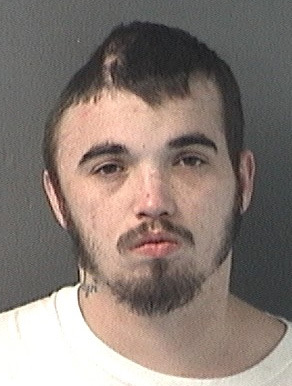 A Cantonment man is headed to prison for stealing a motorcycle and crashing into an Escambia County deputy’s cruiser. Charles Black, age 24 of McKenzie Road, was convicted of fleeing/eluding law enforcement, grand theft of a motor vehicle and criminal mischief. He was sentenced by Judge Michael Jones to 30 months in state prison. Back on December 2, 2013, a deputy parked at Blue Angel Parkway and Mobile Highway observed Black driving a motorcycle erratically with no lights. The deputy followed, attempting a traffic stop at about Mobile Highway and Massachusetts Avenue. After the motorcycle stopped, the deputy reported Black appeared to be reaching for something. Then the motorcycle accelerated and ran into the deputy’s patrol vehicle. A short time later, Black lost control while turning onto Fairfield Drive and crashed into a utility pole. According to the Escambia County Sheriff’s Office, the 2008 Kawaski motorcycle had been reported stolen on November 30, 2013. The motorcycle was extensively damaged in the crash. 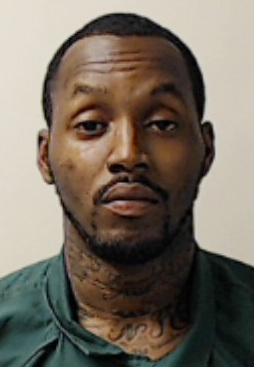 Black was also convicted of the November 10, 2013, theft of a Ford Ranger and sentenced to 30 months in state prison to be served concurrently. It is time for business owners in Escambia County to renew their business tax receipts. Tax Collector Janet Holley mailed out 21,400enewal notices on August 1, with the renewal cycle ending on September 30. Beginning October 1, delinquent penalties will be assessed. Business tax receipts can be renewed online, by mail, by phone (a convenience fee may apply), or in person at any one of three tax collector offices. Applications and information for business tax receipts are available at www.escambiataxcollector.com. For more information or to make an appointment, visit the tax collector’s website or call (850) 438‑6500, ext. 3252. Marcus Pointe, 6451 North W. Street. 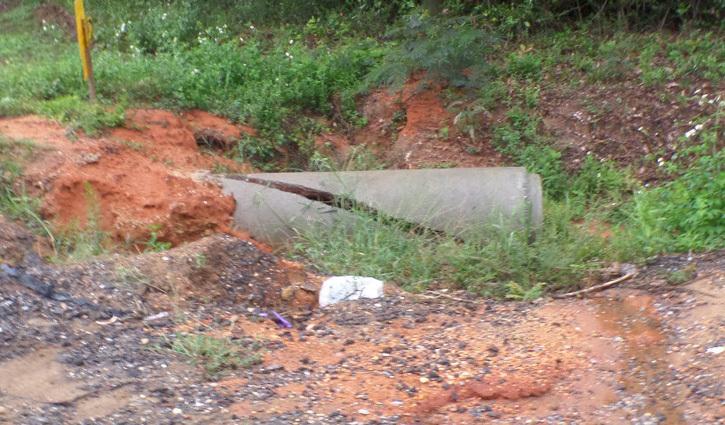 A new Escambia County survey reveals what county residents thing about drainage in the county. The survey was the third in an “Envision Escambia 2028″ series. Two additional surveys — one regarding traffic calming and pedestrian safety and a second regarding residents’ satisfaction with public safety services – are now being conducted. Future surveys will ask questions about parks and recreation, libraries and natural resources. Question #1: First, tell us little about yourself. Where do you live? Twenty-eight percent of respondents to our third survey live north of Nine Mile Road, with almost 22 percent living between Cantonment and the Alabama state line. Over 17 percent of those who answered the survey lived south of SR 98 and west of Navy Boulevard to Innerarity. Nearly 11 percent lived in the area bounded by Palafox on the east, New Warrington Road on the west, Fairfield Drive on the north and Pensacola Bay on the south. Residents from Perdido Key and those living south of I-10, north of Brent Lane/Bayou Boulevard and between US 29 and Escambia Bay each represented almost nine percent of respondents. Residents in the following areas each represented just over 6.5 percent of those who took the survey: east of Pine Forest/south of I-10/west of Pensacola Boulevard/north of Michigan Avenue, south of Michigan Avenue/north of Cervantes/between Palafox and US 90, and east of Palafox/south of Bayou Boulevard/between Escambia Bay on the east and Pensacola Bay on the south. Residents of Downtown Pensacola comprised 4.35 percent of respondents. Residents living south of I-10, west of Pine Forest and north of Saufley Field Road were approximately two percent of those who answered the survey. Pensacola Beach was unrepresented. Question #2: How often do you experience standing water or ponding in your neighborhood? Question #3: Have you ever experienced flooding in your home as a result of a weather event? Question #4: Please share with us the location of flooding and the severity of the flood damage as a result of a weather event. If you have never experienced flooding in or around your property, please select N/A. Flooding in the driveway or lawn/yard. Flooding that reached inside the house or residence. Question #5: Storm water management refers to engaging in practices to divert and/or store rainfall to protect property during periods of inclement weather. 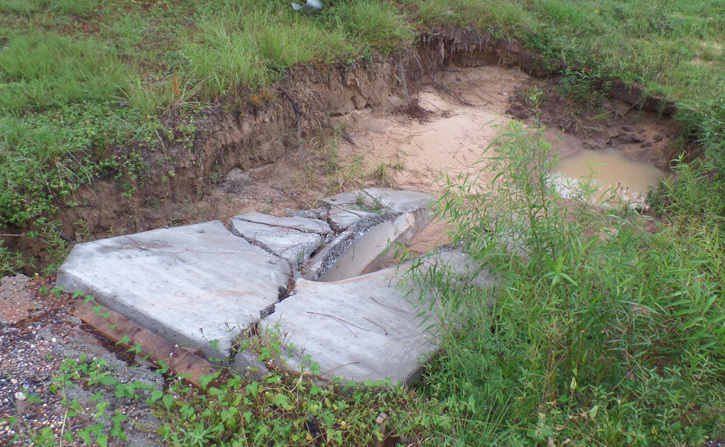 Between 2006 and 2014, Escambia County has used $45 million of Local Option Sales Tax funds to enhance and improve storm water systems throughout the County. Between now and 2017, an additional $17 million of Local Option Sales Tax will be spent on storm water drainage. Please select which most accurately expresses your opinions regarding these statements. In the event of a 25-year flood, Escambia County drainage systems are designed to keep water in pipes, ponds and outfalls. An example of this type of an event was given as several days with heavy, periodic rain. 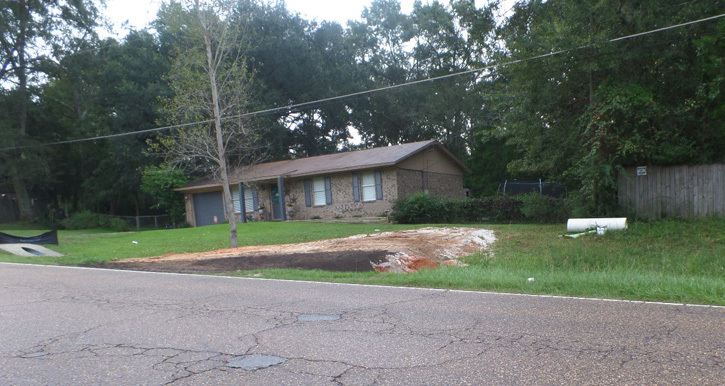 In the event of a 100-year flood, Escambia County drainage systems are designed to divert water away from homes and force it to flow down the streets to bodies of water. Examples of recent 100-year flood events were given as April 2009 and June 2012. Given these examples, almost 42 percent of survey respondents said they felt that Escambia County drainage systems perform as designed in the event of a 25-year flood, while 58 percent said they felt it performed under design expectations. When asked about the County’s storm water drainage system performance in a 100-year flood, 21 percent of respondents said they thought it performed to design expectations and 78.5 percent said they performed under expectations. Question #5: Escambia County cannot responsibly finance a storm water drainage system that would not see breaches in the event of a 500-year flood like the April 29-30 event. Question #6: When it rains, water must go somewhere. Traditional storm water management design has been focused on collecting storm water in piped networks and transporting it off site as quickly as possible, either directly to a stream or river, or to a large storm water management facility or basin. 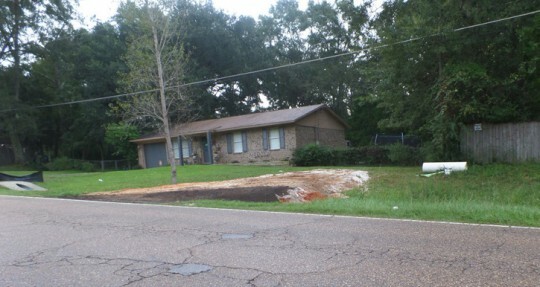 Water can also be diverted into a retention pond. Which of these methods, if any, do you feel is most effective? Sixty-four percent of survey respondents felt that piped storm water drainage systems were either very effective or effective and almost 24 percent said piped systems were somewhat effective. Almost 48 percent thought that construction of curbs and gutters was most effective, with an additional 40 percent saying they felt curbs and gutters were at least somewhat effective. Use of drainage ditches was thought to be somewhat effective to very effective by 76 percent of those who responded to the survey, while 80 percent felt retention ponds to be somewhat effective or higher. Question #8: On July 14, David Wagonner – an architect who helped develop the Greater New Orleans Urban Water Plan – spoke to residents at a joint City/County meeting on storm water drainage issues. His vision on storm water management focuses on approaches that rely less on pumping systems and more on integrating water into the infrastructure. With that in mind, what do you think are some of the best ways to improve our storm water systems? You may select more than one answer. 52.38 percent chose “Replace underground pipes to increase the amount of water these systems are able to carry. Question #9: If you selected any of the answers in the previous question, would you still support those efforts if doing so would come at an increased cost to residents and businesses either in terms of higher taxes or other public projects (such as roads, parks or public safety) not being completed? Backing a pledge made by Gov. 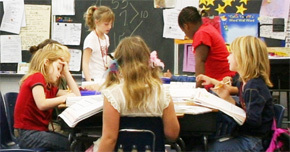 Rick Scott, the Florida Board of Education on Monday approved a proposed 2015-16 budget that includes record per-student funding for public schools. The proposal is an initial step in a months-long process that will end with lawmakers passing a state budget next spring. As he seeks re-election, Scott has called for the public-school funding formula to include $7,176 per student next year, the same number included in the Board of Education proposal Monday. The proposal would be a $232 per-student increase over the current year. Board of Education Chairman Gary Chartrand said the proposal includes “historic” levels of funding. 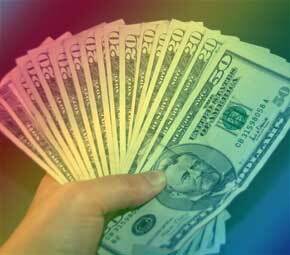 If approved by the Legislature, the $7,176 per-student total would top a previous high of $7,126 reached when former Republican Gov. Charlie Crist was in office. With Crist running as a Democrat this year to try to unseat Scott, education funding has become a heavily debated issue during the campaign. 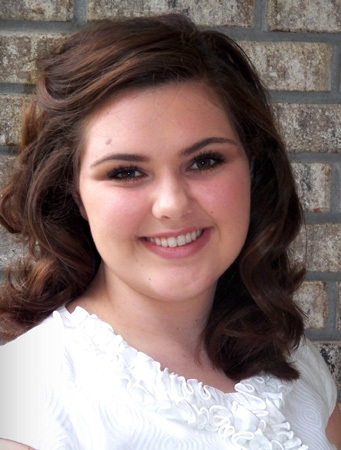 Allison Woodfin of Molino won the 2014 District Farm Bureau Speech Contest recently in Crestview. She advanced to the state competition at the Florida Farm Bureau Annual Meeting in Ponte Vedra Beach in October. Woodfin is a member of the Barrineau Park 4-H Club and is a student at West Florida High School. Pictured: Allison Woodfin, winner of the 2014 District Farm Bureau Speech Contest held recently in Crestview. Photo for NorthEscambia.com, click to enlarge. A University of Florida scientist has moved one step closer to his goal of eliminating 99.9 percent of peanut allergens by removing 80 percent of them in whole peanuts. Scientists must eliminate peanut allergens below a certain threshold for patients to be safe, said Wade Yang, an assistant professor in food science and human nutrition and member of UF’s Institute of Food and Agricultural Sciences. If Yang can cut the allergens from 150 milligrams of protein per peanut to below 1.5 milligrams, 95 percent of those with peanut allergies would be safe. It’s challenging to eliminate all peanut allergens, he said, because doing so may risk destroying peanuts’ texture, color, flavor and nutrition. But he said he’s using novel methods like pulsed light to reach an allergen level that will protect most people. Yang, whose study is published online in this month’s issue of the journal Food and Bioprocess Technology, cautioned that he has done peanut allergen experiments only in a laboratory setting so far. He hopes to eventually conduct clinical trials on animals and humans. Dr. Shih-Wen Huang, professor emeritus in the Department of Pediatrics and Head of the Pediatric Allergy Clinic at UF Health, is familiar with the UF/IFAS research. Huang outlined more steps in the peanut allergen research. Two years ago, Yang was using his technique on peanut extract. He’s now testing it on the peanut itself. In his 2012 study, he removed up to 90 percent of the allergic potential from peanut protein extracts. “This process proves that pulsed light can inactivate the peanut allergenic proteins and indicates that pulsed light has a great potential in peanut allergen mitigation,” Yang said. About 1.9 million people, or 0.06 percent of U.S. residents, are allergic to peanuts, according to the National Institute of Allergy and Infectious Diseases, part of the National Institutes of Health. Reactions can range from skin rashes to anaphylaxis, which can be fatal. Currently, the best way for those allergic to peanuts to stay safe is to avoid them, according to the NIH. Many people carry epinephrine injectors that help offset their allergy symptoms until they reach a hospital. Pictured: Wade Yang, left, an assistant professor in food science and human nutrition at UF/IFAS, used pulsed light to remove 80 percent of the allergens from a whole peanut. By doing so, he moves closer to his goal of eliminating 99.9 percent of allergens in peanuts. Courtesy photo for NorthEscambia.com, click to enlarge. 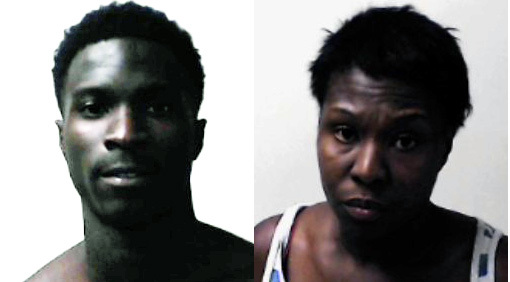 A mother and her son have are now both charged with the shooting death two weeks ago of an Escambia County convenience store operator. Dontonio Diaz Thornton, 19, was arrested over the weekend and charged with homicide and robbery, while his mother, 39-year old Willie Mae Thornton was originally charged with battery and burglary. Monday, a charge of homicide was filed against Willie Mae Thornton. Both remain in the Escambia County Jail without bond. On September 13 shortly before 2 p.m, Phoung Nguyen Truong, 50, was found deceased behind the counter at his place of business, the T M Food Mart located in the 1000 block of West Michigan Avenue. The arrests were announced Saturday afternoon during a press conference with Escambia County Sheriff David Morgan, investigators, Assistant State Attorney John Molchon and the family of Phoung Troung. 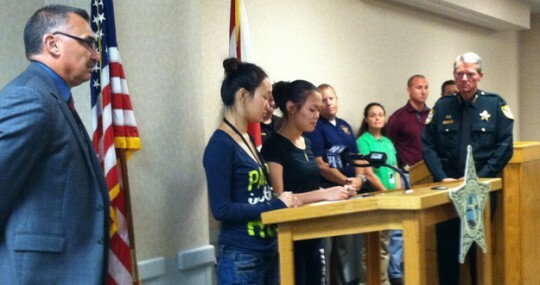 Pictured: The family of Phoung Troung speaks during a Saturday afternoon press conference as Assistant State Attorney John Molchon and Escambia County Sheriff David Morgan (right) listen. Courtesy photo for NorthEscambia.com, click to enlarge. Readers Ask: What’s Happened To Jacks Branch Road Paving Project? A project to widen and resurface Jacks Branch Road from Muscogee Road to Barrineau Park road started a year ago. But following the April flood and into the summer, most of the work on the project seemed to stop, according to area residents. After drainage structures are replaced under residential driveways to meet current safety standards, the construction team will focus efforts on widening the shoulders of the roadway. Once widened, the road will then be resurfaced, according to Escambia County. The $2.6 million construction project is funded by the Florida Department of Transportation and is managed by Escambia County. The expected completion date of the project is November 28, 2014. Have a problem or concern you want NorthEscambia.com to investigate? Email news@northescambia.com today. Pictured top, inset and below: Washouts and damaged construction work along Jacks Branch Road. 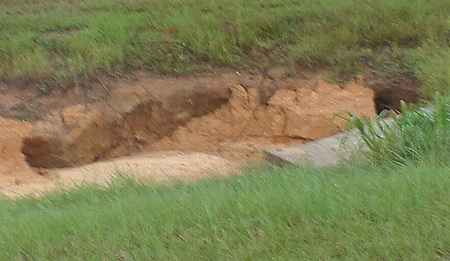 Pictured middle bottom: A driveway that’s been repaired multiple times along Jacks Branch Road. 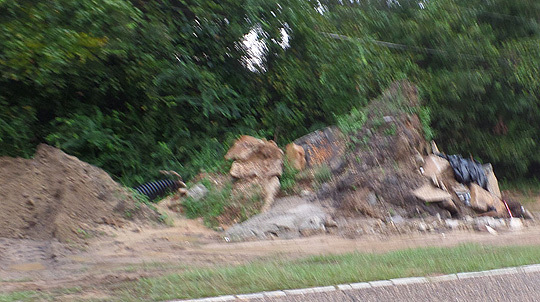 Pictured bottom: A construction debris pile in place so long that weeds are growing out of it. Reader submitted photos for NorthEscambia.com, click to enlarge. One person was arrested after a weekend shooting in Escambia County. The shooting happened in the parking lot of Gene’s Lounge off West Navy Boulevard about 2 a.m. Sunday. The victim, Miequle Delorean Brock, 28, was transported to a local hospital with an apparent gunshot wound. The Escambia County Sheriff’s Office arrested 23-year-old Darius Devon Williams for resisting arrest, possession of a weapon and dealing in stolen property. His bond was set at $101,000. Additional charges related to the shooting area expected to be filed.